A book of nine tales focused on the dark obsession of aging and lingering regrets of one's youth. Stone Mattress, Margaret Atwood’s first collection since Moral Disorder in 2006, begins with three linked stories about women who have been romantically involved with a middling poet named Gavin Putnam ... Many of this book’s stories — or 'tales,' as the subtitle and acknowledgments insist — offer characters a chance to put their own understandings of gallantry, courage and revenge to the test, in ways both mundane and extraordinary ... An obsession with aging and dying unites much of Stone Mattress, and Atwood, more than 40 books into her career, has arrived here preoccupied not just with the churn of generations but also with legacy and reputation, with getting straight the story of one’s life — the tale about the tale — and with surviving what happens once no one is paying any attention anymore. 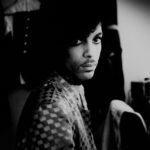 ...tilt several degrees away from the ordinary, riffing on the fantastic, the macabre, and the grim ... Three tales in the collection feature linked characters... 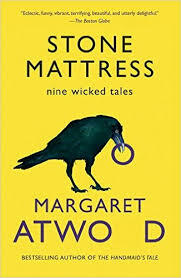 Most of the tales in Stone Mattress feature older characters whose predicaments are set against flashbacks to their youth and the now-quaint social norms of the 1960s and ‘70s ... Stone Mattress reveals Margaret Atwood at her most deliciously wicked and inventive. While these tales tend toward darker shadings of human experience, their subtexts are often playful, leavened by the author’s masterful wordplay. In this case, it’s a gathering of what she calls Nine Tales, most of them relatively long stories by comparison with her earlier work, a gathering that I couldn’t be happier to have ...first three pieces — endearing, subtle, quite brilliant in their execution — create de facto skein of characters, a group of Toronto writers and poets who have known each other, and become romantically entangled with each other, for some decades ...rest of the pieces in this volume each stand alone ... Even as Atwood takes a vacation from publishing a new novel, the effects are pure, simple and stunning. What did you think of Stone Mattress: Nine Tales?